On arrival at the tiny airport we were greeted by a lovely young receptionist Zeanna who gave us a brief history and geography lesson about the island on our short taxi ride to the hotel. The taxis are covered pickups which add a quaintness to the island. They are very easy to get on board and alight, just two steps from the road surface. Once at the hotel the reception party were remarkable, beautifully dressed, lots of smiles and a genuine welcome. Our room was a beach front suite on the ground floor with a large patio and a few steps to the sea. The gentle waves can be faintly heard as you drift off to sleep. Every single staff member was efficient, smiley and went the extra mile to make us welcome and ensure we were happy with our stay. The owner, his family and management are visible every day usually dining with the guests so the standards remain high. I find these independent resorts much preferable to the large corporates where you are just another passing through. The hotel is ideal for a get away from it all holiday, take plenty of books and sun cream and relax. The island is the same, it’s not for those who want to party all day and night if you understand my meaning. All in all we had a fabulous relaxing break in this five star hotel and certainly wish to return when we are back in the area. Having stayed last year and enjoyed it so much we decided to return this year. Often you are disappointed the 2nd time, however we found it just the same if not better. 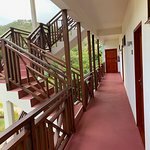 The hotel is superb, rooms spotless, food very good and the facilities and staff spot on. The beach is typical Caribbean Atlantic, not great for swimming but fantastic for walks. The hotel swimming pool is so good and refreshing and kept spotlessly clean. Can't fault the place and guess what we will return again and again. Our beachfront suite was lovely. Gorgeous view, the staff were lovely. Breakfast was very good with plenty of choice and an egg station. The evening food was quite good but too "themed " for our liking. 2 of our 5 nights there they had a themed night and we didnt have a food choice. ** We were rather shocked to see a rat running up the wall of the bar !!! We told the bar man and he did nothing - didnt even look shocked ! There are parts where the layout seems odd - when walking from our room to the bar and restaurant the path took us past the toilets - between the toilets and a hedge ! We spoke to another couple and they commented on this also. The path also took us by a rather untidy and scruffy area of canoes etc which seems so odd in a such a lovely location - why not put them at the far end ?? The bedroom was large with a superking bed but the mattress was hard and not that comfy - it was just sat on a wooden frame so not a good quality bed. also, the bedding wasnt great. ** good hairdryer and kettle etc. free water and milk in fridge each day. Bathrobes. Mosquito repellent and killer supplied in room also. .Our bathroom had 2 showers, separate loo , bath and twin sinks so was very good. The bed area has step down to the living area and the door to the balcony which had mosquito screens. Mind you both the mosquito screen and mosquito net round the bed didnt meet properly and had gaps - not ideal ! a lovely welcome committee with complimentary cocktails and we also had acomplimentary cocktail each day sat on the sunbeds. 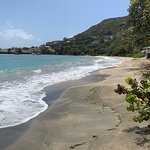 We also stayed a few days at Bequai Plantation Hotel and the Bequia Beach was a much better standard - although the air con and beds were better at the Plantation. Having said all of this it wouldnt stop us returning. 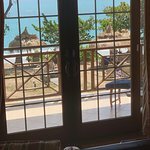 Thank you for choosing Bequia Beach Hotel to spend your vacation, it was our pleasure meeting you both. 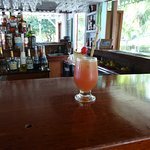 We were saddened to learn that you witnessed a rat in the bar, the management take hygiene and cleanliness extremely seriously at Bequia Beach Hotel and after you reported it to the bar staff, we immediately increased the amount of pest controls in that area despite it being regularly serviced & maintained. We apologize for your experience and that your concern wasn’t answered satisfactorily at the time. We are looking to address and redesign some of the areas you mentioned around the restaurant to make the entrance more pleasurable during out summer closure. We are grateful that you brought these points to our attention and are pleased it didn’t affect your overall stay with us. 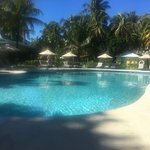 We pride ourselves at providing the highest of accommodation and service standards in Bequia and we look forward to welcoming you soon. We came to this charming hotel with friends for 7 nights. Everything about his place is just lovely. The reception staff were so helpful nothing was too much trouble. The bar and restaurant staff were equally fabulous and made us feel so welcome and comfortable. The entertainment on a few nights was a very welcome addition and it was lovely to see everyone up and dancing including the staff. We stayed in a two bedroom villa with plunge pool. It was really well equipped and spacious and kept spotlessly clean The food at the restaurants was of a very good standard and we particularly enjoyed the lobster evening. 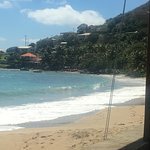 Bequia is a beautiful island quite unspoilt and laid back. Thank you to all the staff for making our stay so special !! 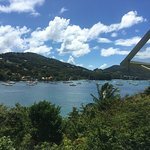 Bequia is a gem of an island .. a little reminiscent of how the Caribbean must have been 40 years ago, whilst bigger islands have become ruined by the growth of tourism. I stayed in a beach front suite, which was very comfortable. Staff all very pleasant .. lazing on the beach all day, reading, resting and swimming in the sea were magical. Lunch and dinner were all ok .. but breakfast needs attention. The menu at breakfast needs to be changed .. the hot pots to keep the side dishes warm do NOT work, and the food is cold. Apart from the breakfast needing attention, the place is most enjoyable.